Beirut, Monday 28th of January, 2019. 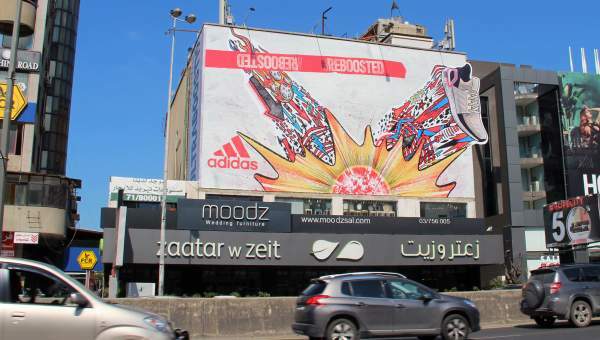 Pikasso announces that it has acquired today the assets of Parapub consisting on 2 Walls, Nahr El Mott and Zalka, and 6 Large Format Rooftops all of them located on the most trafficked highway of Greater Beirut from Nahr El Mott to Antelias. The addition of these 8 prime locations will bring, thanks to their concentration on a stretch of highway of just 3.3 km, an added value to the collection of Pikasso Large Format Classic locations. Antonio Vincenti, Chairman and CEO of Pikasso, said: “We are delighted to have reached this agreement with Parapub, whose founder Tony Nassar is a veteran of the OOH scene. Tony Nassar, Chairman and CEO of Parapub, said: “We are also delighted to have concluded this agreement with Pikasso, one of the leaders of Outdoor Media in Lebanon and the Mena Region. We would like to take the opportunity to express our gratitude towards our faithful clients, Advertising Agencies, and Media Buyers, for their trust in our company over the past 27 years.